These new HK VP40 to .357 conversion barrel offerings are drop in barrels that will convert the VP40 to shoot the popular .357 SIG cartridge. 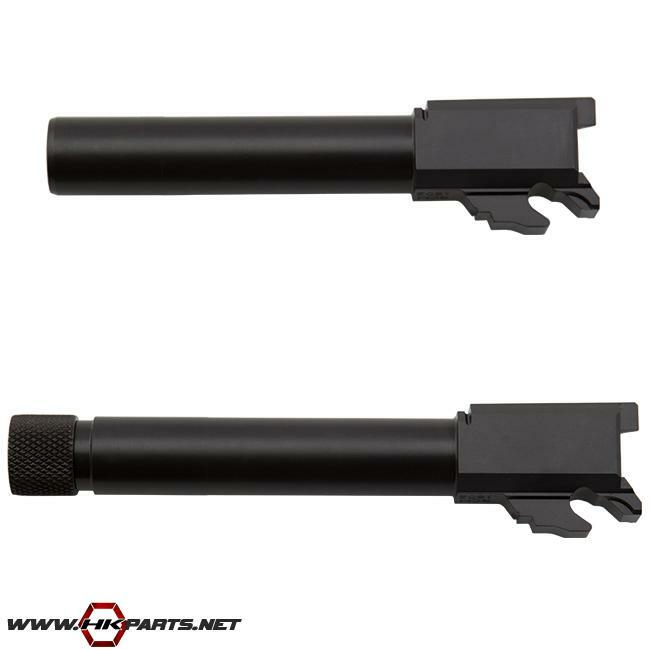 We offer both a standard barrel and a threaded barrel. Each barrel is finely & painstakingly made from ordnance grade steel, heat treated & finished inside & out in the ultra- desirable "nitride" finish. These are the finest barrels available for the HK VP40, so be sure to check them out!